The rattan chair is inseparable from Paris’ thriving café/bistro culture. Since the 17th century, these cafés have defined the terrace lifestyle of the French capital and invited people from every walk of life to gather for drinks, food and lively conversations. 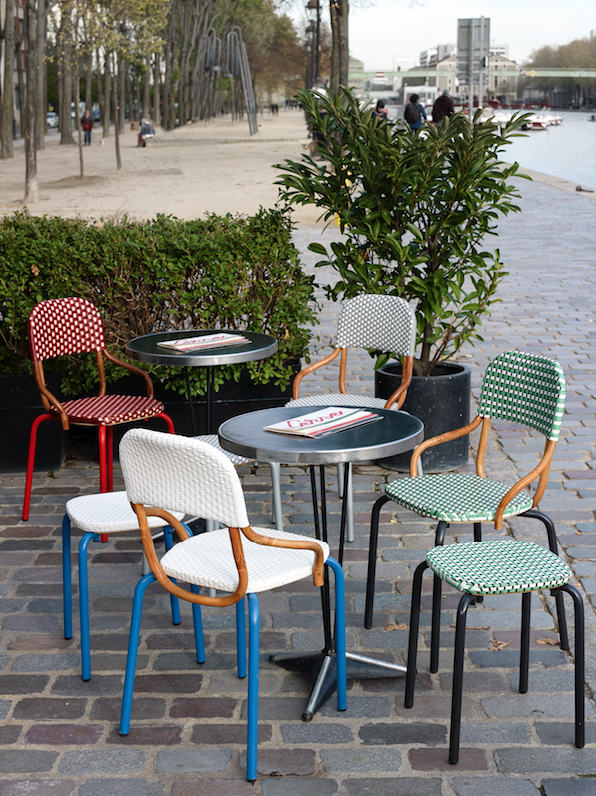 The chairs, with their woven seats and curved frames, can still be seen on almost every street of Paris today, either stacked high in the mornings or positioned around tables, eagerly awaiting their next customers. Not only are the chairs symbolic of the Paris lifestyle, but they also point a history entangled with colonization and import and export. The first rattan chairs in Europe can be traced back to the 16th century when Portuguese, Spanish and Dutch sailors ventured across the seas in search of spices. As well as the spices they found in Asia, they observed the local craftspeople using rattan — a species of palm — that grew in the humid tropical forests of countries such as Indonesia, the Philippines and Malaysia. Realizing the light material that did not need any processing could be potentially useful and profitable they brought it home. By the 19th century, the boom in the maritime transport made rattan a common material in Europe. With such a rich history and deeply iconic look, it is difficult to imagine the Rattan chair ever changing. 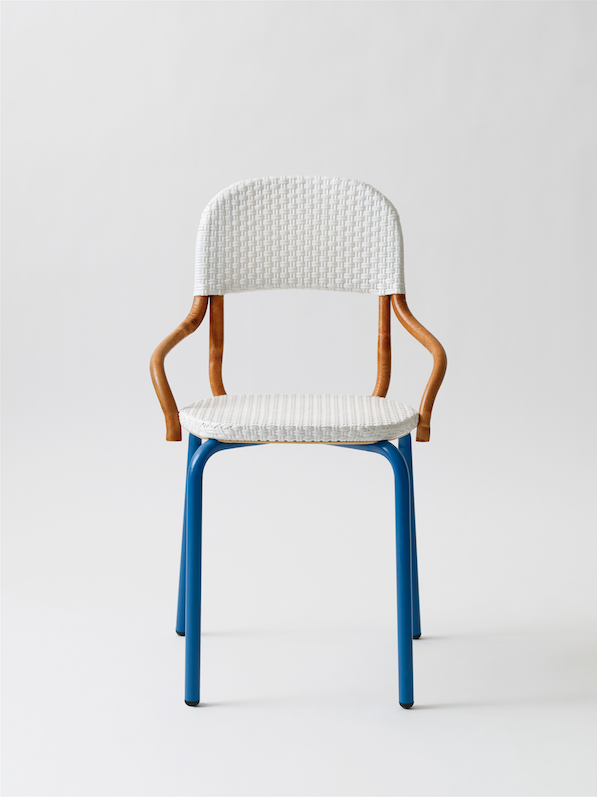 However, designer Robert Stadler rose to the challenge of re-interpreting the Rattan chair for the 21st century. 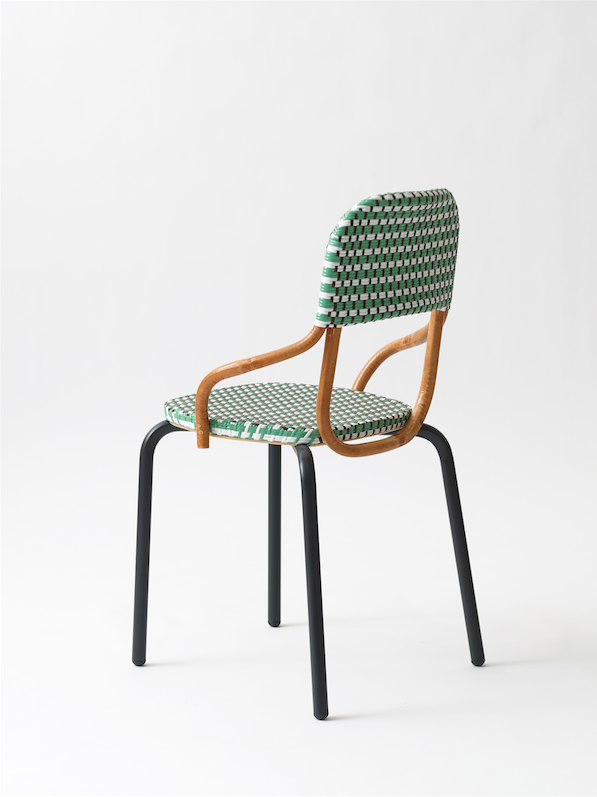 Approached by Maison Drucker — the oldest producers of Rattan chairs in Paris founded in 1885 — to design a new version of the chair, Stadler carefully studied the chair. He identified points of structural weakness in the legs and sought to improve this. 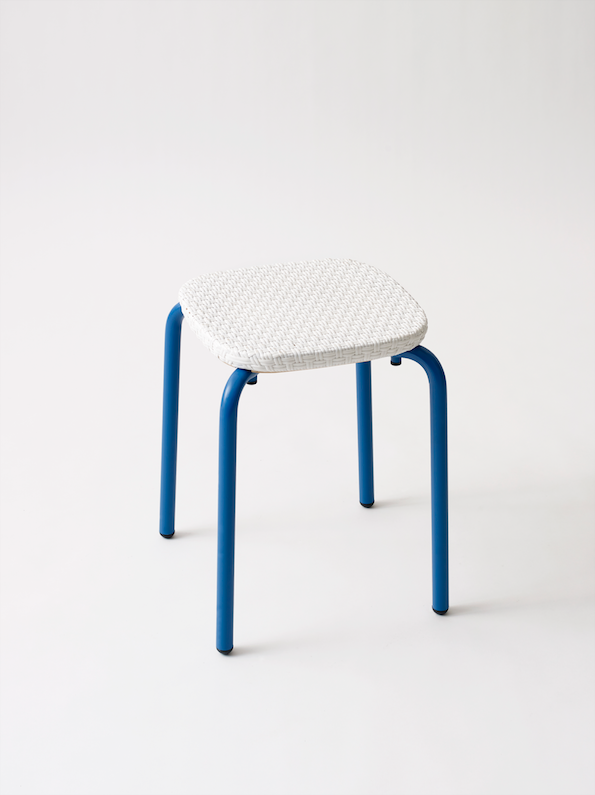 The result is the Corso Chair. Stadler combined the traditional artisanal craftsmanship of the Rattan chair with industrial aluminum manufacturing to create a chair that is more stackable and durable than its classic predecessors. It has a playful aesthetic that nods to both its history and development. 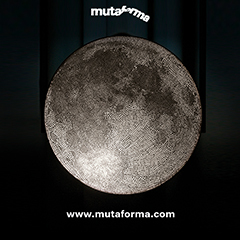 Showing at Maison&Object, from January 18-22 the Corso Chair will be at home in its natural habitat of Paris. 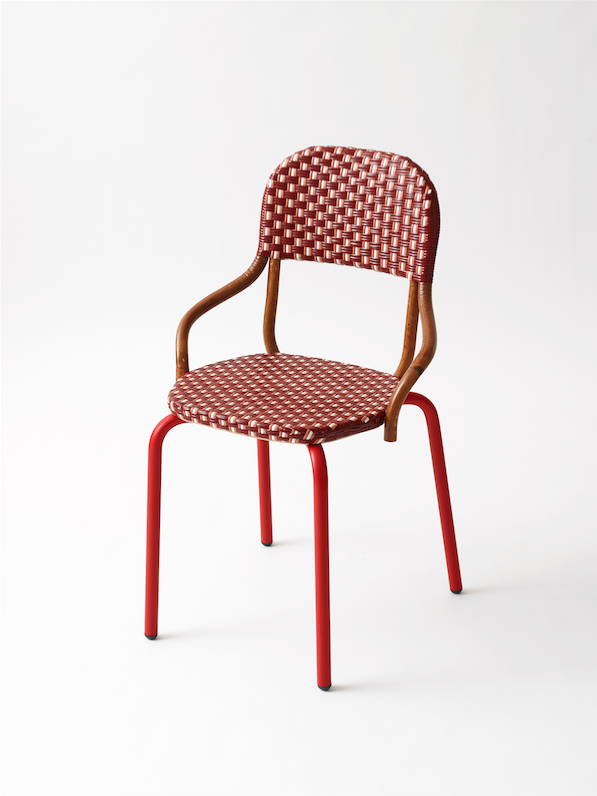 TLmag: The rattan chair has a strong history in both its materiality and its cultural significance in the French café culture, do you have a personal connection to the traditional rattan chair? If so, how did this affect your design? Robert Stadler: I always consider being aware of history and what has already been there as a must. There are too many objects that are popping up where it seems that the designer was totally unconscious of what other designers or artists had done before. The French bistro rattan chair is loaded with history and technical improvements over time so it certainly is a delicate task to work on an iconic typology like this. Personally, as a foreigner living in Paris, those chairs were an important element of defining Parisian bistro culture as opposed to the Viennese one with which I grew up. Were there any surprises or challenges while you were researching and re-designing the chair? Definitely yes. We understood that the traditional rattan chair works as a whole flexible structure where all the components move with a certain tolerance against each other. By introducing tubular aluminum for the legs there suddenly was a rigid element that had to function within this elastic structure and that wasn’t easy. We had to find some new solutions to this and worked closely with the craftsmen who make the chairs. Your design has kept the top half of the chair in rattan whilst changing the legs to aluminum, this seems to be a contrast of old and new and a balance between tradition and efficiency, could you explain this decision? 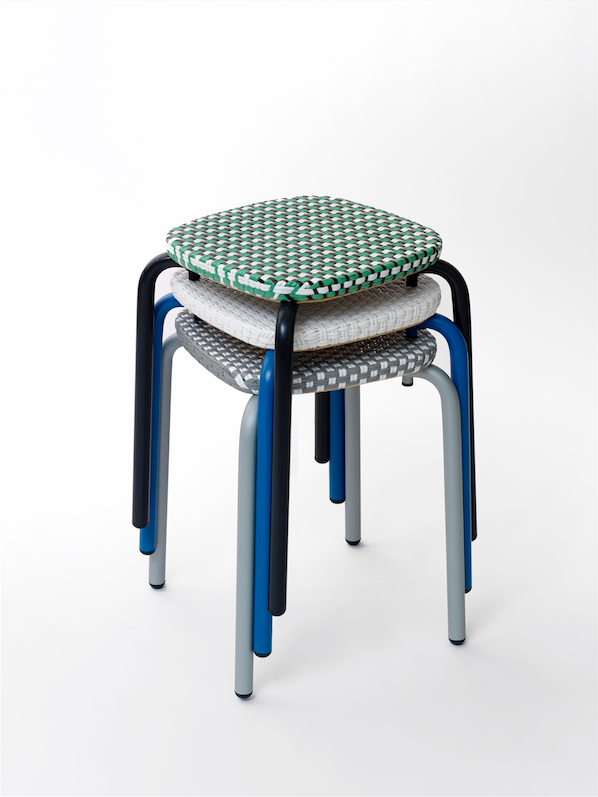 Discussing with Maison Drucker’s craftsmen, I realized that although the upper part of the chair has many qualities, its rattan legs have two weaknesses: the humidity that infiltrates by capillarity and the difficulty of stacking due to the reinforcing cross. These two observations served as a starting point for the design of the new Corso Chair.